A sprawling, unwieldy, yet readable life of the fallen president. O’Brien (History Emeritus/Univ. of Wisconsin) professes to have spent more than ten years on this book, and there’s no reason to doubt him: he cites just about every study and incidental work in the literature, and his own massive contribution sometimes slows to a real-time crawl as he describes key events in Kennedy’s presidency. Indeed, the author tends to give perhaps too much consideration to gainsaying theories, such as the politically edged charge that JFK was no hero as the commander of PT-109. O’Brien tosses that charge about for a few pages before noting what he might have more simply written: the men aboard the doomed swift boat considered their skipper to be a hero, so what more do we need? But plenty of people had it in for Kennedy all his life, the author hints. Early on, for instance, the FBI seems to have taken considerable interest in his love life, believing that a Danish bedfellow of his was a Nazi spy; an official dossier was just one price JFK had to pay for his lifelong philandering. Yet O’Brien seems reluctant to do more than mention matters that have exercised other writers, such as the illegal origins of the Kennedy family fortune and its patriarch’s links to organized crime, not to mention his antediluvian political ideas. (O’Brien does write, however, that Joseph Kennedy got into much hot water at the beginning of WWII for remarking that “Democracy is finished in England. 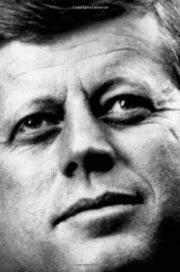 It may be here.”) The best portions chronicle JFK’s abbreviated presidency, showing how he allowed himself to be manipulated on the matter of Vietnam while gaining more solid knowledge of Cuba and the Soviet Union, and how the president, a sharp student of economics, tried to work magic with tax cuts that flew in the face of a wartime deficit, a condition that will seem familiar to readers today. Not problem-free, but worthy, ambitious, and of much interest to students of recent US history.